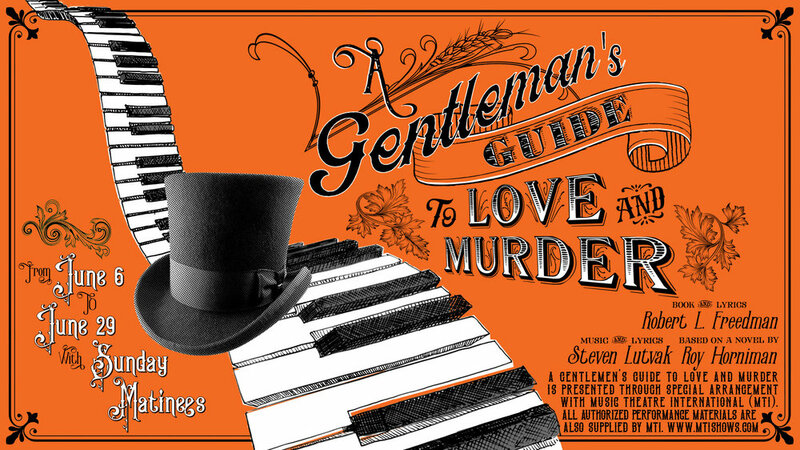 A Gentleman's Guide to Love and Murder — Wolfbane Productions: a professional, nonprofit theatre and entertainment company serving the Greater Appomattox area. Make your reservation early for dinner at The Babcock House! Delicious food, cold drinks, and relaxing atmosphere. Please visit https://babcockhouse.com for additional information and menus. Dates: June 6, 7, 8, 9, 13, 14, 15, 16, 20, 21, 22, 23, 27, 28, 29. Simply provide your name & email address to start receiving the latest Wolfbane news & announcements straight to your inbox! You Shop. Amazon Gives. 0.05% of Your Purchase Will Be Donated to Wolfbane Productions at No Additional Cost to You. Serving the Greater Appomattox area: Appomattox, Lynchburg, Farmville, Roanoke, Danville, and beyond!